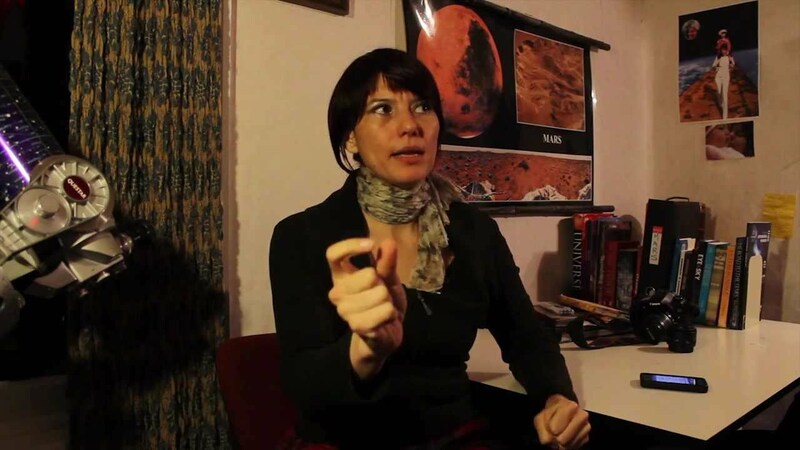 The Austrian Space Forum’s Stefan Hauth interviewed Haritina Mogosanu, crew member of the WSW 2013 Mission to Mars at the Mars Desert Research Station (MDRS), during ‘Museum Night’ at the Welios Science Centre in Wels, Austria on Saturday 5 October. Stefan: Could you tell us a bit about your personal background? I am also the First Officer for this crew. 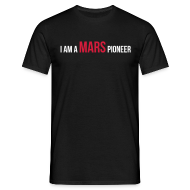 Stefan: Why are you engaging yourself in the field of Mars exploration? Haritina: I believe that humankind will progress only if it benefits from quality education. No matter what they will choose to be when they grow up, people should make informed decisions. Space is a huge hook to get children and students interested in learning. The final destination may not be space, but even if they will choose to become, say, marine biologists, the ride there could be because at one point in time they were inspired by space. Mars is very interesting because has many features like Earth and we learn a lot about both planets in this discovery process. 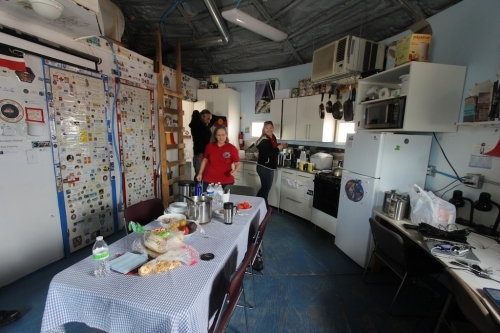 Stefan: You have been at MDRS before in 2012 as commander for the Kiwi Mars mission. What were the objectives of that mission? What were your responsibilities then? 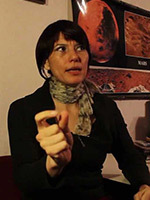 Haritina: I organized the KiwiMars mission and I also was the commander. We focused on outreach with students and public in New Zealand. So we talked a lot live with schools back home. Stefan: What is the goal of your current mission? Haritina: The current mission is a showcase. That’s why we only undertake it for 4 days. But that does not mean we are not serious about it. As a matter of fact the crew stationed here during World Space Week is made of senior scientists and members of the real MDRS Mission support. If you wish, it’s made of people who would normally train crews before they arrive here. Jon Rask who is the commander of this crew wrote the Spacewardbound Curriculum, which is used for crews that come here. Jean Hunter is the leader of the NASA food study that crews went through whilst here for the past years. They are also great science communicators, which is why we wanted them and they kindly agreed to volunteer their time. I think we are very lucky to have such a crew. Stefan: Please tell us a bit more about your current stay in the MDRS? Haritina: MDRS is an amazing place to do Mars related research on Earth. If you go outside of the hab, it looks like Mars. A “proper” simulation mission here lasts 2 weeks and takes place from November to April, because otherwise it’s getting too hot. Mars’s temperatures never rise above 18 Celsius so we kind of have to operate within that constraint if we wish to pretend we are there. But this time we wanted to let people around the world know about this place and the research here. Stefan: At this point it would be great if you can show us the inside of the MDRS. Stefan: How long does it take to get suited and out of the airlock? Haritina: From experience it takes minimum half hour if it is done in sim (simulation). Stefan: Where does the food come from? 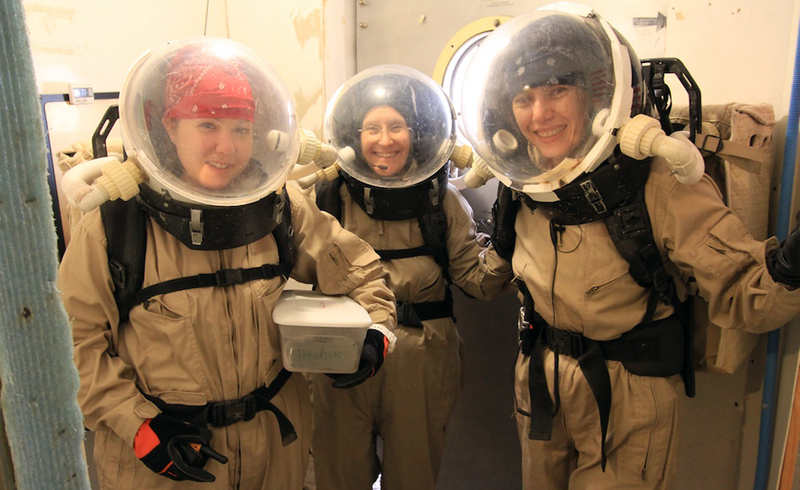 Haritina: Food comes from a NASA food study so we basically eat same food as the future Marsonauts would do.We are trialling it and say, can tell which one we liked and which we did not. Stefan: How does a typical day at MDRS look like? When do you get up? Haritina: The flight plan is telling us when to wake up and what to do – it’s like when you are in the office and before you undertake a project you make a plan. Stefan: What is a flight plan? Haritina: The flight plan is like a schedule you have for when you go to school, so you know what to do for that time. Sometimes, for instance, some scientific activities such as collecting samples have to be taken during day time so we do it then. Stefan: How does your connection to “Earth” (aka. MCC Innsbruck) work? Do you simulate the time delay? Haritina: We don’t simulate the time delay now but sometimes in sim some crews do that. Stefan: What experiments are conducted in MDRS (in general and in the current mission)? Haritina: At MDRS you can study everything!! Amongst the members of my previous crews were an artist and a space lawyer. But we have biologists, chemists, engineers, rocket scientists and everything you can think about. Stefan: How is it to live in an closed habitat on narrow space with 5 other people? Haritina: It’s awesome! If you are the right type to be able to do that. It’s no different from a mission to Antarctica although you get more people in Antarctica. Stefan: Are there any psychological challenges? Haritina: That’s why MDRS is here – to understand what they may be, what type of people do you want. Stefan: How do you spend spare time? Haritina: I don’t know about everyone else but in a project like this you must have a lot of passion for what you do. So probably in your spare time you would think of your projects. It’s not a 9-5 job. In general your body is telling you what it wants so you can go to sleep or relax with a book or a movie. Most of the spare time is spent indoors. In general people want to keep in touch with other people, like families and friends and there is social media of course. Stefan: What was the longest stay ever at MDRS? Haritina: 2 weeks. The Mars society has another station called the Flashline Mars Antarctic Station and a mission there takes no less than half a year. Stefan: Could you explain your jobs and the command hierarchy? Haritina: You have a Commander, a First Officer and a Health and Safety Officer in the chain of command. Then everyone is doing something else too. You need a journalist, science officers, geologist and most importantly engineers to keep the station going. Stefan: How similar to a real Mars habitat is MDRS? Stefan: Can you imagine how living in a real habitat on planet Mars would feel like? Haritina: Yes, it would be a MDRS from where you could see buttery skies. And of course if something will happen you on Mars, you’d probably have to build the next hospital.